Thank you for visiting A+ Sprinkler Repair Service, LLC. 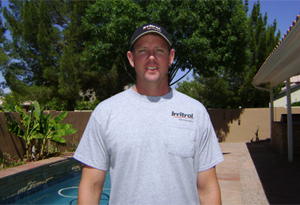 As an East Valley native, I have been repairing and installing sprinkler systems for most of my adult life and professionally since 1996. Over the years I have had experience working on everything from the legacy systems of the 1980's to the modern irrigation systems of today. You can be assured that I will correctly diagnose the problem and fix it right the first time. By day, I have 20 years experience as a Physical Education teacher at a local valley high school. After school, on the weekends, and all summer long I perform sprinkler repairs. I believe in maintaining a highly professional relationship that is based on honesty and a common sense approach. My philosophy is to quickly and correctly diagnose the problem(s). I will explain my diagnosis to the homeowner and discuss options available. Because I have a full time job as a teacher, I am able to provide my customers with the HIGHEST level of professionalism - while at the same time, maintaining a VERY low overhead. This all adds up to a superior service to you at a greatly reduced rate. I encourage you to compare my rates to those of my competitors. Most companies will charge $75 - $100 just to show up and diagnose your problem. From there the going rate is between $60 and $100 per hour PLUS the cost of materials. At A+ Sprinkler Repair Service, LLC. the diagnostic visit is only $75 for the 1st half hour and a mere $60/hr after that!! 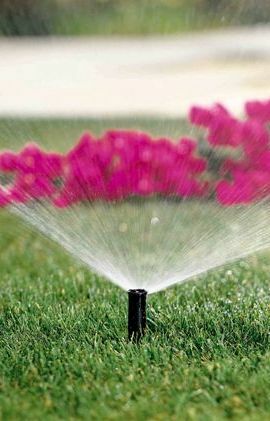 The first ½ hour is typically spent assessing your irrigation issues. I will discuss options that may be available to you before the repairs will be made. There are often options available that will save you $$$$!! !